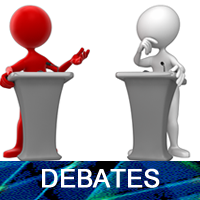 As part of our courses in the meeting place of the Cambridge Critical Thinking Society we will be introducing the participants to the art of debate allowing for the practice of critical thinking skills. This is our very first debate and it takes place live in class on the 15th of May 2017. After that we continue online. However there is a little difference between the exercise in class and the online discussion; while in class we will have two teams, one adopting the affirmative and the other the negative position, online each person is free to present their own arguments. For our first debate we are discussing whether drug addiction is a disease. The subject for this debate was inspired by this article: “Stop calling your drug addiction a disease”. I will be moderating the online discussion to make sure we have no “trolls”. I’ll be playing the “devils advocate” and asking questions just for the sake of the exercise. So whatever I say is not necessary my own opinion, it is only a thought provoking strategy. I will ask the participants to be polite and take into consideration that this is an exercise. I am aware that people can get too emotionally involved with their arguments and lose track of rationality. This is precisely the point of this exercise. When you are writing you have more time to work on your arguments. When reading other postings, highlight fallacious or illogical arguments and explain why you think they are so. Don’t just say “John you are being illogical and you committed a fallacy” . You need to say ” John your sentence “xxxxxxx” is a non-sequitur and your full argument is a straw-man fallacy because x, y and Z”. Remember that to make a strong inductive argument you need to provide reliable evidence to support your claims. This entry was posted in Debate, Ethical Issues and tagged drug addiction. Bookmark the permalink. 1 Response to Debate 1: Is drug addiction a disease?